Tresemme is a hair care brand that prides itself on being professional and affordable. 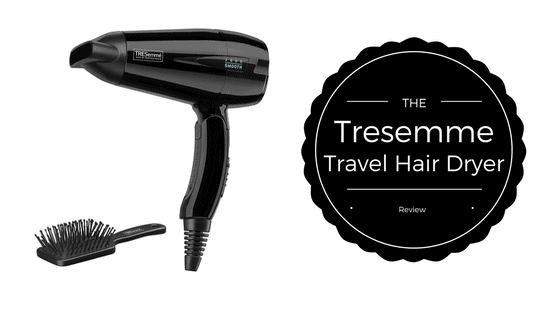 The Tresemme 2000 travel dryer is the ideal way to keep your hair on point wherever you are in the world. Just because you’re travelling, it doesn’t mean your hair should be treated any differently. The small and compact dryer has a handle that folds up and tucks under so it doesn’t take up too much room when packing. As well as the avid traveller, the travel dryer is great for mobile hairdressers moving from client to client. Tresemme is a salon tested and used brand and would be suitable for professional stylists and for use on the move. What is the Best Speed and Temperature ? The dryer has two heat and speed settings which is great for when it’s a hot day and you don’t want the hot air on your face and head making you even hotter. By having two speed settings, you can dry your hair with a fast or light blow to make sure it’s not too harsh on your face. It is great because you can also use a high heat for roughly drying hair to start with, dropping down to a lower speed to give a straightened and smoother finish. The different speed settings are also great for different types of hair; thinner, shorter hair can use the lower setting whilst thick and long hair will probably need a higher setting. Some users with long and thick hair may not feel that the travel dryer is effective because of its smaller size. Dual or multi voltage is important in electricals, especially in travel appliances because it means they can be used in all countries. 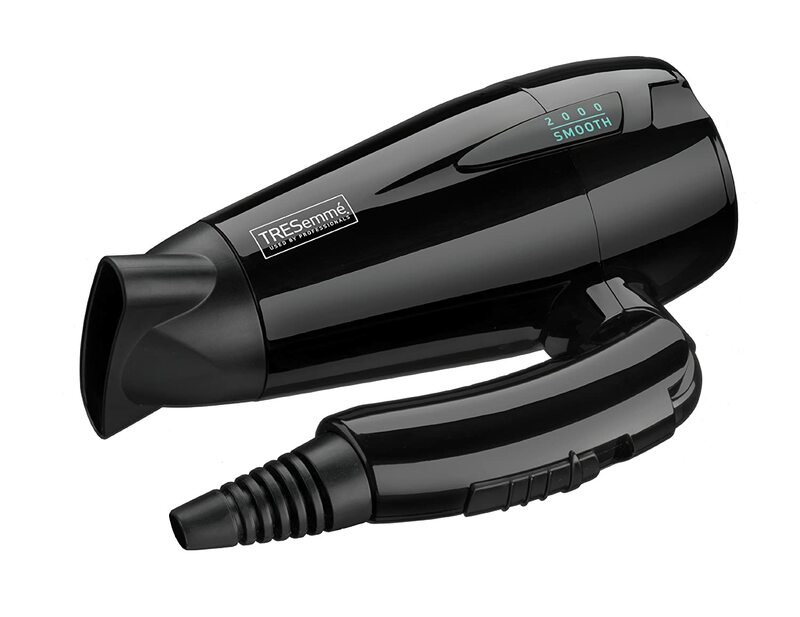 Tresemme 2000 travel dryer has a voltage selection so depending on where you are, you can adjust your dryer to ensure it has enough power to get you from wet to dry. There is a small screw on the handle which can be used to change and select the voltage. What features does this hair dryer hold? The concentration nozzle pops onto the dryer and allows you to focus on one area of the head. With or without the nozzle, the small but powerful blow gives an even heat distribution to dry the hair in good time without leaving some areas wet. An effective grill plate on the back of the hair dryer gives good protection to hair not to be sucked in preventing damage or injury. Included with the travel dryer is a mini paddle brush. The mini paddle brush is great for detangling the hair and using whilst drying to create a straight and smoother finish. For all the same reasons as the dryer, this little brush is great because it takes up such a small amount of room and is just as effective as a larger brush. The dryer is also used amazingly with TRESemmé Heat Defence Styling Spray and TRESemmé Salon Smooth Serum for protection when under the heat and for a sleek and smooth finish. 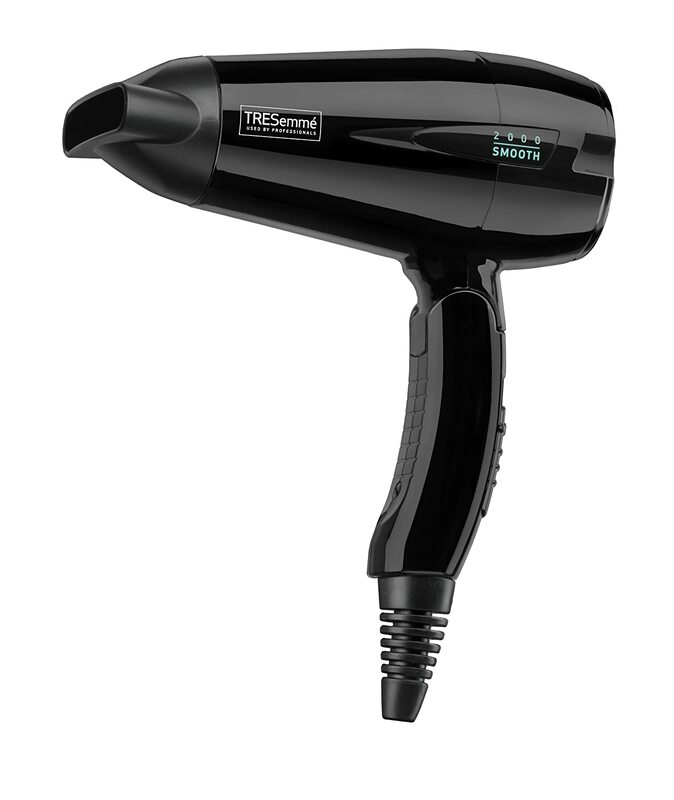 What will this Hair Dryer do for your Hair? If you’re in a hot sunny country the humidity can often send your hair wild and for some, leaving it to dry naturally isn’t an option without a bouffant look. By blow drying it, you can control frizz and stay looking slick and stylish. The tourmaline-ceramic technology also discourages frizz and protects and moisturises the hair. The hair dryer is light weight which is obviously perfect for travelling as it doesn’t take up much room or weigh your luggage down. The lightweight design means that your shoulders and arm don’t start to ache when drying hair for long periods of time. Due to the small size, unfortunately there can be risk of overheating especially in already warm climates. The small and diverse hairdryer fortunately is very quiet which ensures you don’t distract hotel neighbours on your travels. ​Did you know there are three different types of attachments that come with a dryer and they are all for different purposes. Make sure you use the right one for the style your trying to achieve. 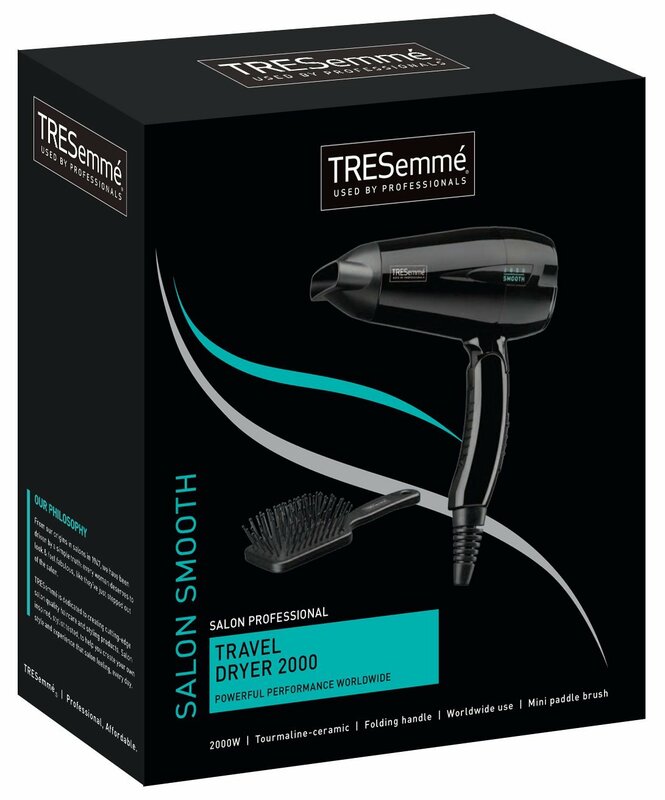 Whether you are travelling for work, just an overnight stay or for a holiday or longer trip, the Tresemme 2000 Travel Dryer is a great companion for everyone wanting to take their luxuries from home whilst keeping their hair looking stylish without frizz. You won’t feel over packed or struggle to carry your luggage by slipping this into your bag as it is lightweight and easy to use. For people travelling overseas, it does not require to buy extra converters, only a plug adapter if required. 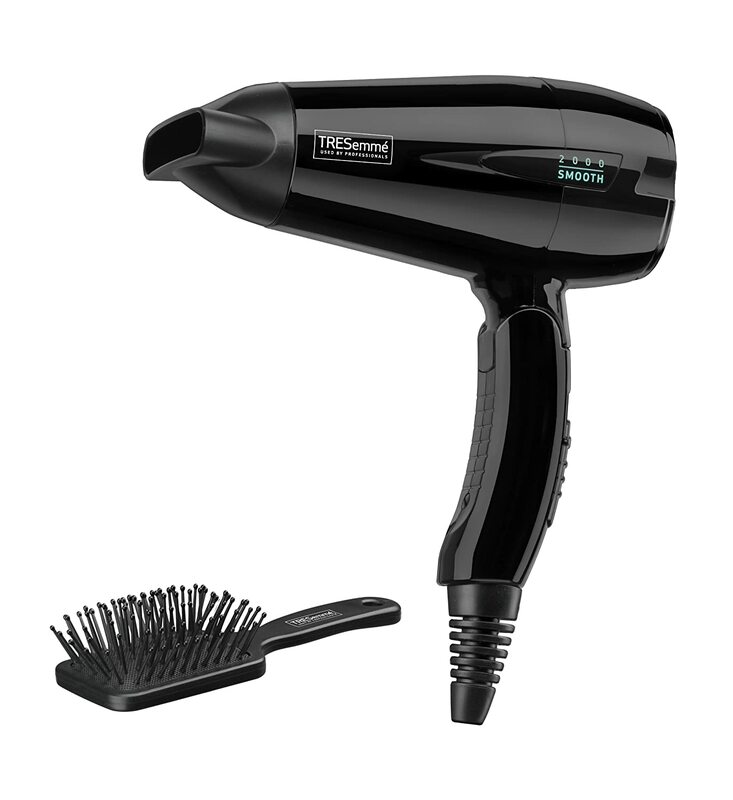 The Tresemme 2000 Travel Dryer gives a mighty blow for its size and is easily as good as larger blow dryers kept at home.